The first video — ”Down” — features the dynamic pop powerhouse performing all her own stunts to what results in an action-packed, intriguing, spy-esque thriller. The messaging is sung beautifully loud and melodically clear: self-empowerment, fortitude, and determination. 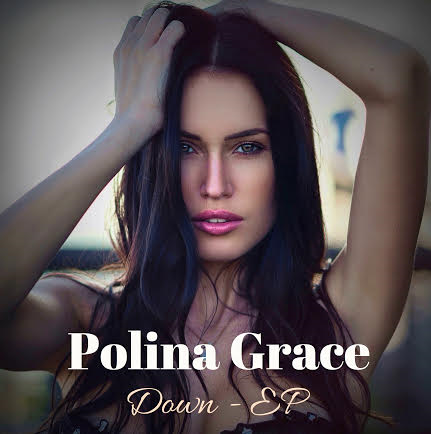 “Every song is representative of strength, and very personal to me,” shares Polina, who co-wrote three of the original songs on Down. “I believe in being the protagonist of your own life and that is what I’m looking to portray with my songs, lyrics, production, and visuals. In it, the singer/songwriter goes above and beyond, completing all her own intricately choreographed and risky to execute stunts in what quickly becomes a sight to see. Training with Kevin Kelsall, an experienced stuntman based in Montreal, was a journey of its own for Polina. “I only had two rehearsals with him, but he was an incredible choreographer,” she shares. “In the video where he throws me onto his shoulders and flips me onto the bed was not a simple move to do with the limited training I had. Kevin said his stuntmen friends were surprised he would do a move like that with "a singer," but he trusted I could handle it, and more.